Arun Kumar updated their profile information. Arun Kumar added interests secularism and democracy, identity politics and social movements. 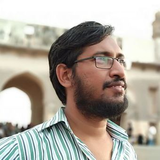 Arun Kumar changed their profile image.